This full-time course is aimed at 16 to 19 year old full-time learners. 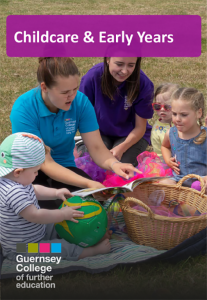 The Level 2 Certificate enables you to gain knowledge and experience to allow you to progress onto the Technical Level 3 Diploma in Childcare & Education (Early Years Educator) or work as a nursery assistant in the industry. The Level 3 qualification enables you to gain the knowledge and experience to work with children from birth to five years, with knowledge of five to seven year olds. The College also offers a range of part-time courses for those who wish to work in the early years or teachers’ support sectors. Further details can be found here. As part of your learning programme, if you have not yet attained a grade C/4 or equivalent in mathematics and English language, you will be required to study a Functional Skill or GCSE in these subjects. Students may require additional support for a number of reasons. At the start of your course you will be asked to complete an initial assessment in order for us to identify any additional needs that you may have. During your course, your personal tutor will be able to guide you on how best to access support.